They’re two sides of the same political and judicial coin: SNC-Lavalin and the Mark Norman trial. The all-consuming, breathless political drama over the SNC Lavalin scandal has rocked the Liberal government to its foundations. The grinding courtroom fight in the breach-of-trust case case against Vice-Admiral Mark Norman, the military’s former second-in-command, is somewhat less flashy, but still high-profile. What links them — and, to a lesser degree, the extradition of Huawei executive Meng Wanzhou — is the fear that politics can trump prosecutorial independence. Former justice minister Jody Wilson-Raybould put a finger on the issue in her clandestine recording of a telephone conversation with the country’s top bureaucrat, Michael Wernick. The recording was released to the Commons justice committee and the media Friday. The two were discussing the possibility of a deferred prosecution agreement for SNC Lavalin — which faces corruption charges, including fraud and bribery — and Prime Minister Justin Trudeau’s insistence that such an option be considered. “Does he understand the gravity of what this potentially could mean?” Wilson-Raybould asked Wernick, the clerk of the Privy Council, in the Dec. 19, 2019 conversation. In what could be construed as an attempt to protect the prime minister, Wilson-Raybould later insisted that someone should explain the implications to Trudeau more clearly. 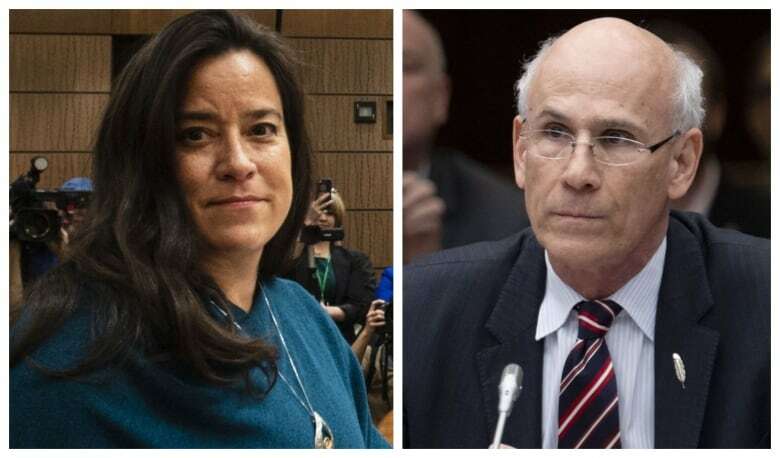 Wilson-Raybould warned about the potential knock-on effect in cases like Norman’s, although she suggested the government’s conduct in Norman’s case has been above reproach. “We can stand up in the House of Commons on [the case of Vice-Admiral Mark] Norman on — totally appropriately on Norman — on extradition, and we can talk about the rule of law,” she said in the recorded conversation. Norman’s defence team has tried to paint the prosecution of the former navy commander, who is accused of leaking cabinet secrets, in political terms. Norman’s lawyer, Toronto attorney Marie Henein, at first accused former cabinet minister Scott Brison of interfering in the $668 million shipbuilding deal at the heart of the criminal case. In a dramatic recent turn, Norman’s lawyers alleged that the Privy Council Office, the department that supports the Prime Minister’s Office, was attempting to direct the prosecution — a claim that by itself is more serious than Wilson-Raybould’s claim that she felt “pressure” over the SNC Lavalin matter. Henein has subpoenaed emails, text messages and meeting notes belonging to Trudeau and his senior advisers, including Wernick and Wilson-Raybould, in order to make that case. Those documents have just started to land in the hands of Norman’s defence — but some have arrived in redacted form. Wilson-Raybould has not commented substantively on the Norman case. Henein, reacting to the SNC Lavalin scandal, recently made a point of telling the court she wanted to know what conversations the former justice minister had regarding the trial, and whether she still has notes related to it. Rory Fowler, a retired lieutenant-colonel and former military lawyer now in private practice, said Wilson-Raybould’s taped remarks have to be parsed within their context — that she knew she was being recorded. “Part of the challenge is that the interpretation of what she’s saying and the relevance of what she’s saying is skewed by the fact that she knows she’s recording it and the clerk of the Privy Council does not,” Fowler said. The former justice minister may have argued that giving SNC Lavalin what it wanted would have created the perception of political interference in the Norman case — but Fowler said he fully expects the vice-admiral’s lawyer to take that remark and turn its on its head. Henein “has already done a very good job, on arguably limited information, to draw the suggestion that there was political motivation behind the prosecution,” Fowler said. It will take documents, and perhaps the testimony of witnesses, to establish whether there was political interference in Norman’s case, he added.